Initially I was concerned that the Scots language would be off-putting but I found myself enjoying the language and its idiosyncrasies. I was captivated by this book from the get-go; the idea of how a family responds when one person decides to go spiritual and change religions. We all change as we move through this life and I thoroughly enjoyed the "realness" of both the Buddha Da and the wife and daughter. That being said, I found the ending a bit disappointing and lacking the same depth that the rest of the story held for me. 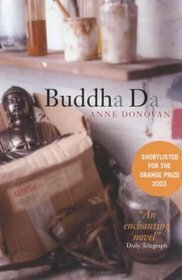 Sign into Goodreads to see if any of your friends have read Buddha Da.